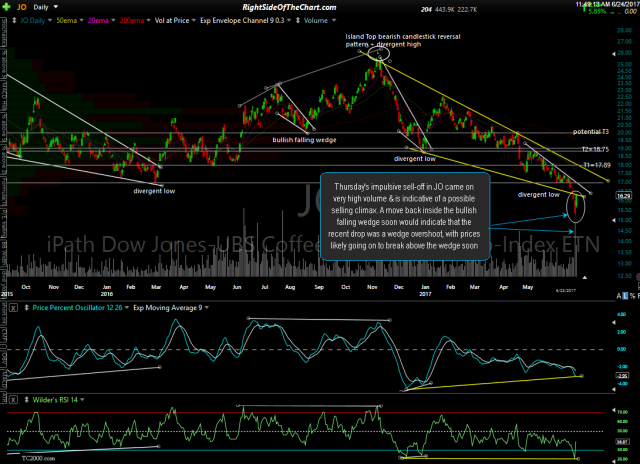 JO (coffee ETN) was recently added as an aggressive, “catch-a-falling-knife” trade on Tuesday with JO triggering the suggested stop of any move below 15.90 for a 3.6% loss on Thursday. That impulsive sell-off on Thursday was indicative of a selling climax as well as a potential wedge over-throw on both $COFFEE (continuous futures contract) JO (coffee ETN). Thursday’s sell-0ff also reversed just shy of a long-term support level on $COFFEE. 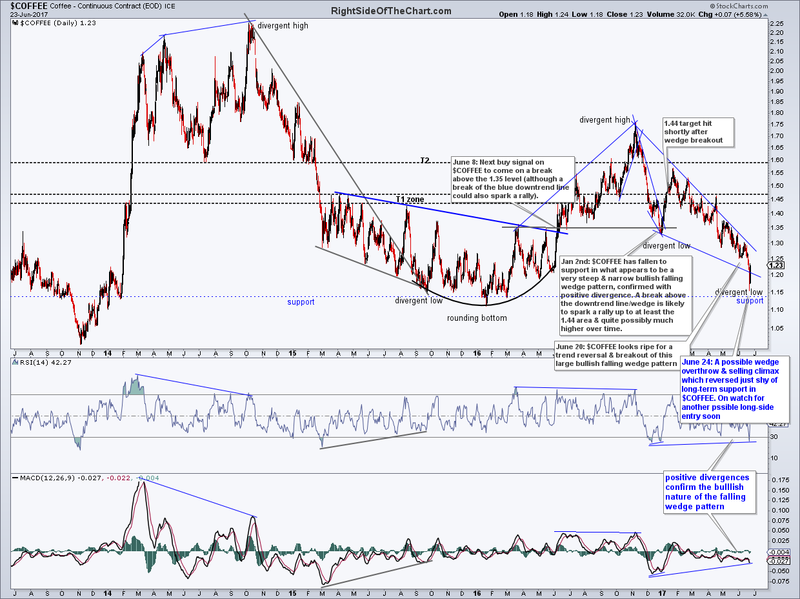 As such, I’ll be monitoring coffee prices going forward for another possible long-side entry.